Spencer Hill Press, 9781633921009, 384pp. Growing up, Isabel Bandeira split her time between summers surrounded by cathedrals, castles, and ancient tombs in Portugal and the rest of the year hanging around the lakes and trees of Southern New Jersey, which only fed her fairy-tale and nature obsessions. In her day job, she’s a Mechanical Engineer and tones down her love of all things glittery while designing medical devices, but it all comes out in her writing. The rest of the time, you’ll find her reading, at the dance studio, or working on her jumps and spins at the ice rink. 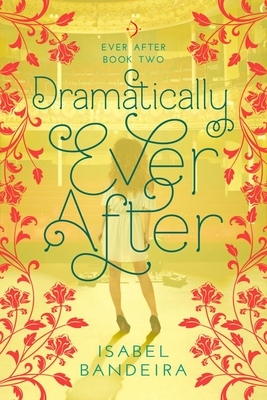 Isabel is the author of the four-book Ever After series, including Bookishly Ever After, Dramatically Ever After, and the soon to be released Practically Ever After. Isabel lives in South Jersey with her little black cat, too much yarn, and a closetful of vintage hats. She is represented by Carrie Howland of Empire Literary. It’s a song as old as rhyme, set in New Jersey this time. An aspiring professional actress, mixed-race teen Em Katsaros, whose mother is African-American and whose father is first-generation Greek-American, has a lot riding on winning a national speech competition. The grand-prize money can pay for her freshman year at Rutgers—and maybe convince her oh-so-practical parents that acting is not a dead-end career path. It seems that the only roadblock to achieving her dream is Kris Lambert, scion of the premier mega-wealthy, white family in their town of Lambertfield. He thinks that she is a drama queen. She thinks that he is a smarmy jerk. When they are both chosen to represent New Jersey in the competition in Boston, the stage is set for Em to re-evaluate her nemesis. Bandeira’s (Bookishly Ever After, 2016) second novel owes Jane Austen a huge debt of gratitude for its overall formula and structure. The pacing is nimble and the dialogue frequently snappy, but the story ultimately fails to rise above its modern–Pride and Prejudice formula. Certain elements, such as Em’s inexplicable love for her absentee foreign-exchange-student boyfriend whose only admirable quality is his making out, strain credulity. The romantic narrative conclusion is never in doubt, but the tale nicely cautions against believing preconceived notions and provides enough humor to entertain along the way.